Afghan Rice Pudding is very similar to our payasam or kheer. But the main difference is that they add jam on the top instead of sugar. This is an easy to make International dessert at home. 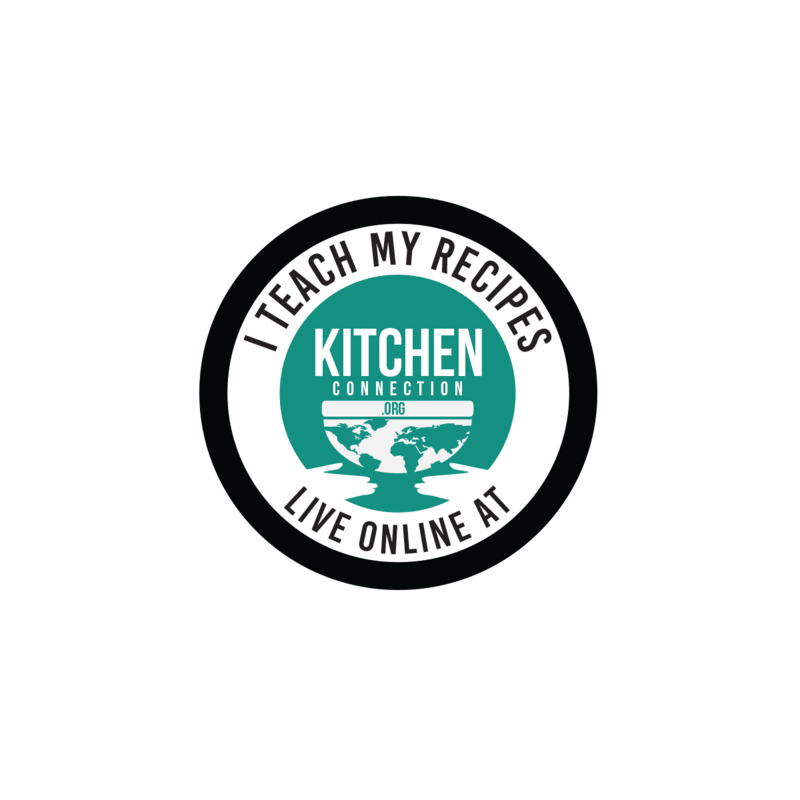 Click HERE to view more Kheer/Payasam Recipe. 1. Wash and soak the rice with ¼ cup of water for 15-30 mins. 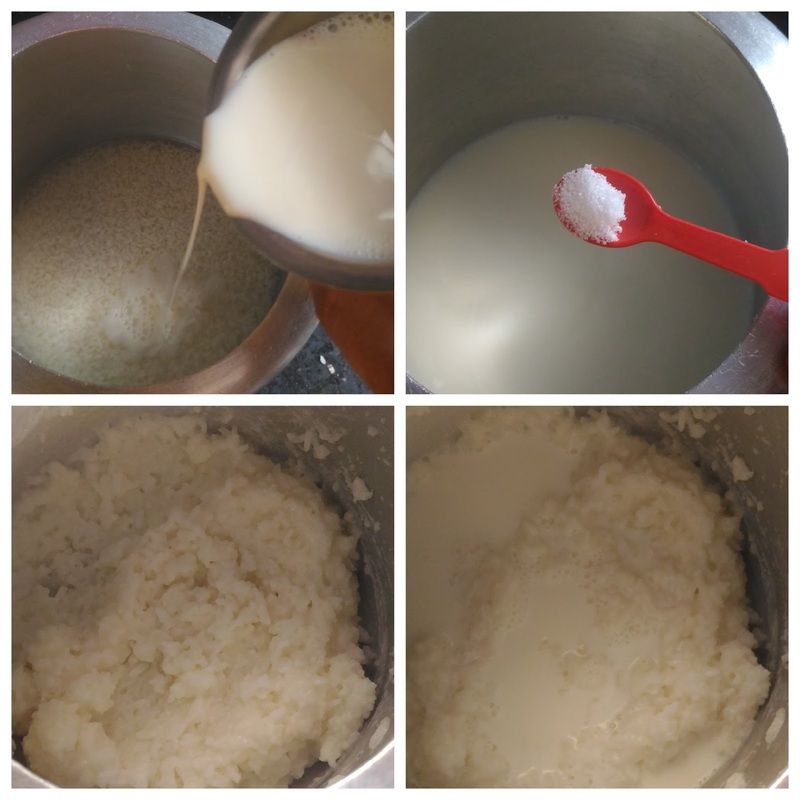 2 Add the soaked rice with soaked water, 1 cup of milk and salt in a pressure cooker. 3. Pressure cook them for 1 whistle in high flame, then reduce the flame to simmer and them cook for 3 more whistles. 4. Allow it to cool down completely and smash the rice with ladle. 5. Add the remaining milk and rose water, mix them well. Transfer them to the serving bowl and refrigerate for 30 mins to 1 hr. 6. Then pour this mixture in a serving bowls or glasses. 7. Pour 1 tbsp of jam at the center of the each glass. 8. Sprinkle the sliced almonds over the pudding. 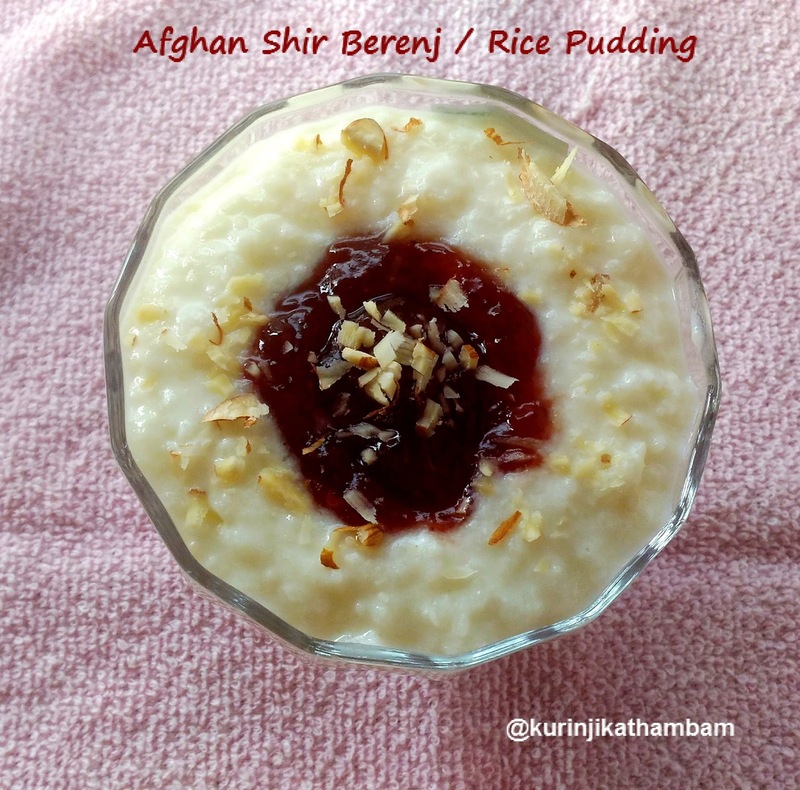 Yummy and delicious Afghan’s Rice Pudding / Shir Berenj is ready! 1. The consistency of the rice mixture should be like kheer consistency. So adjust the milk according to that consistency. 2. You can serve either with or without cooling. 3. You can replace rose water with cardamom pods. 4. You can cook the rice using the pot too (no need to pressure cook). 5. You can also use normal cooked rice.